Champagne is the most famous and celebrated wines in the world. Whenever there is something worth celebrating, it’s just seems normal to say, “Let’s pop a bottle of Champagne to celebrate!”. It is a celebration wine, it’s sparkles are always glamorous, it serves the perfect welcome drink for that special evening, or afternoon or even morning. Here are the 8 basic things you should know about Champagne if you like to know more! What does it means? 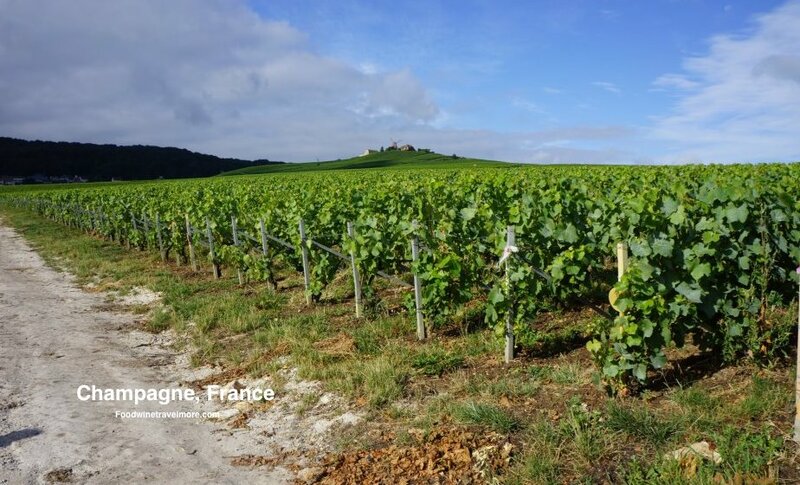 Champagne is actually a wine region just 45 minutes train ride from Paris. Due to the strict French rules, you can’t call anything bubbly “Champagne” unless it’s grown and made from Champagne region. Hence there’s NO Australian champagne, Californian champagne, or Spanish champagne.. So what can you call anything sparkling outside of champagne? Hm.. just simply, sparkling wine. 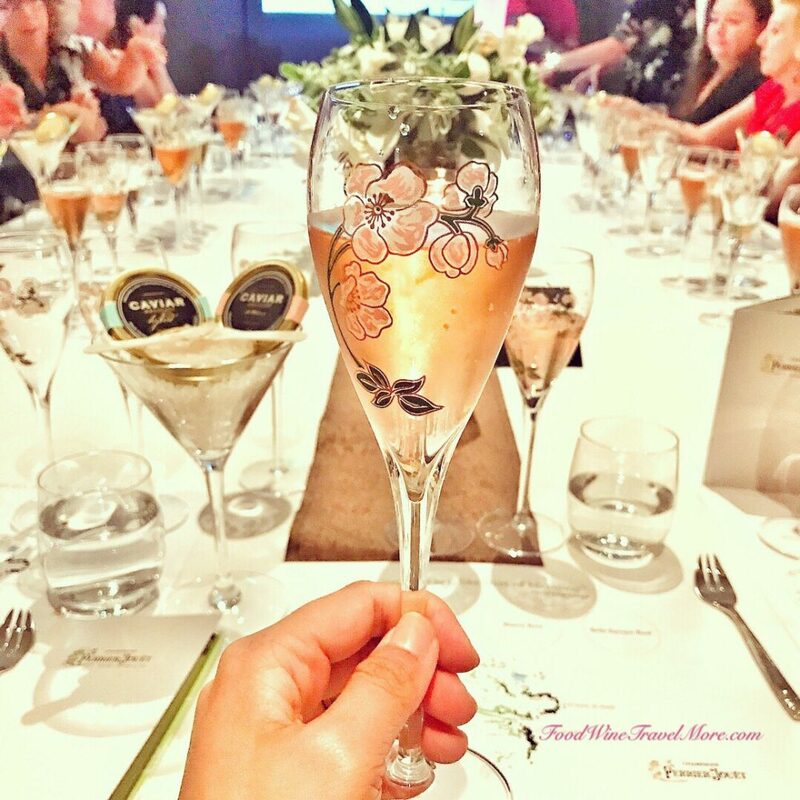 Of course, there are other bubblies from other regions can be called Cremant, Prosecco, Cava, Franciacorta.. but that would be another topic for another day. 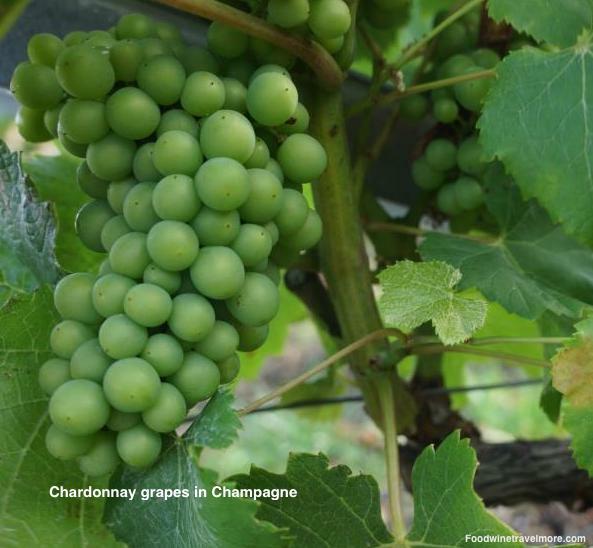 Chardonnay, Pinot Noir and Pinot Meunier are the standard recipe or rather, the main permitted grapes in making champagne. Other than these 3, there are 4 more permitted grapes: Pinot Blanc, Pinot Gris, Petit Meslier and Arbane (Good to know). Although some champagne producers might opt to use only 100% Chardonnay and call them “Blanc de blanc”. Non-vintage champagne are the typical house-style of one particular producer. They are the blend from multiple-vintages and the style should be consistent every year. 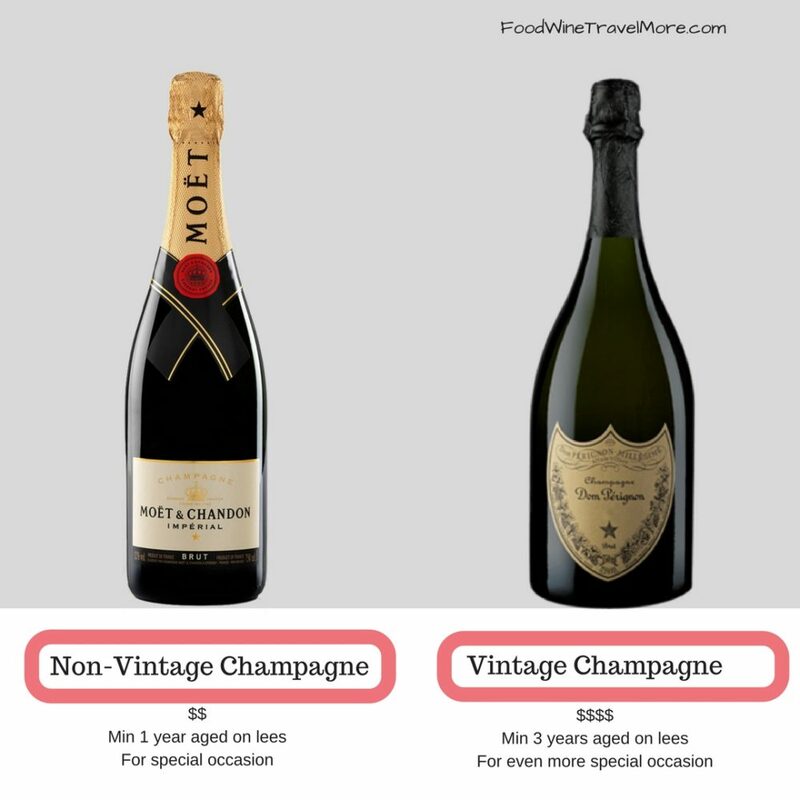 Price is often much cheaper than vintage champagne but doesn’t mean vintage champagne is always better. Vintage champagne only crafted in good vintages and the price is higher due to the limited supply. Non-vintage champagne are best to consumed within 2-3 years. So, drink now, don’t wait! The technique is called “Sabarge“! Thanks to Napoleon and its army who started the trend after French revolution. Make sure you practice first before impress your next party crowds. 5. “Extra Dry” doesn’t mean extra dry? When you are browsing through champagne bottles, most of the time you’ll see a word “Brut” on the label. “Brut” is the most common style of Champagne meaning “dry“. It should taste not sweet with only 0-1.2% of sugar in the bottle. What happen if you like something slightly sweeter? Look for the label “extra dry”. 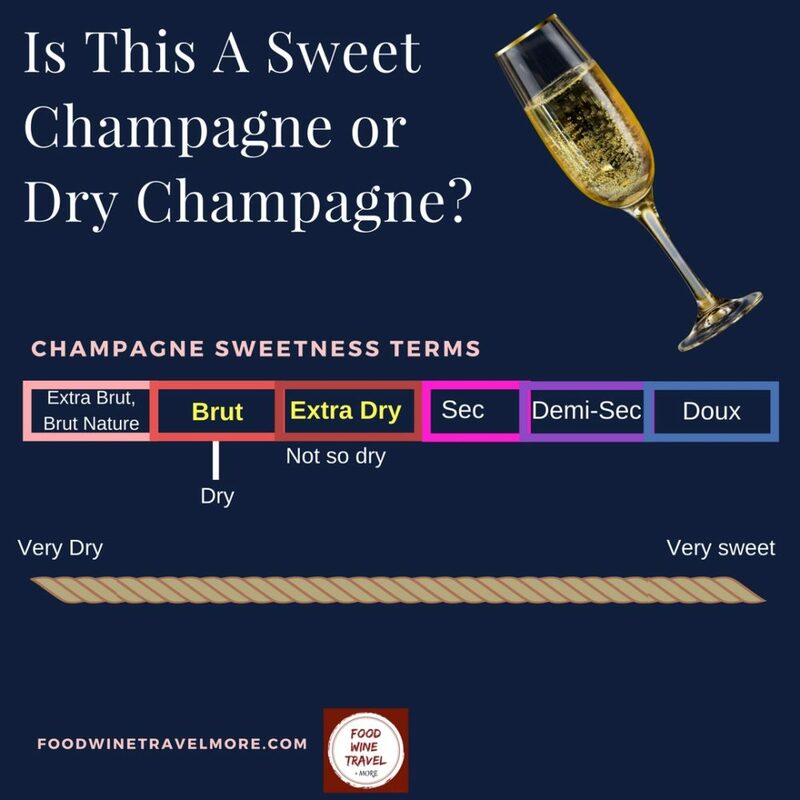 “Extra Dry” or Extra-sec” has more sugar content than “Brut” champagne. Normally range from 1.2-1.7% of sugar. Urgently need a bottle of Champagne but it’s not chilled? Simply put a few big tablespoon of salt in a bucket filled with ice and water, and leave the champagne bottle in it for just a few minutes. Viola! By the way, the proper serving temperature for Champagne is 6-10 C or 43-50 F. Please don’t put ice in your champagne! Just, don’t! 7. How many bubbles are in a bottle of Champagne? Yes, seriously! The smart science people actually tried to count how many bubbles are there in a bottle of Champagne. According to Moet Chandon and Heineken’s studies between 1986-1989 there are 250 million bubbles in a bottle. Karen MacNeil in “The Wine Bible” (Workman, 2001) calculated 56 million bubbles. The latest study by scientist Bill Lembeck calculated 49 million bubbles in a bottle of champagne. So I guess stick to 49 million bubbles per bottle for now. 8. Champagne is not only women’s best friend, but best friend for FOOD too! Who says you must have red or white wine when comes to food pairing? Champagne’s freshness and high acidity profile is such a food friendly wine. You can go with caviar, oysters for appetisers. Egg or creamy dishes, pasta, even a grilled steak would go well! So, if you’re not sure which wine to open with your next dinner? Just open a bottle of champagne! Anything else that we should be included in the list? Next Article The Liebster Award 2017 – My Blog Has Been Nominated!